Group Travel of New Zealand Ltd is a tour company providing customised tour plans for individuals, couples and groups into New Zealand, Australia and the South Pacific Islands. 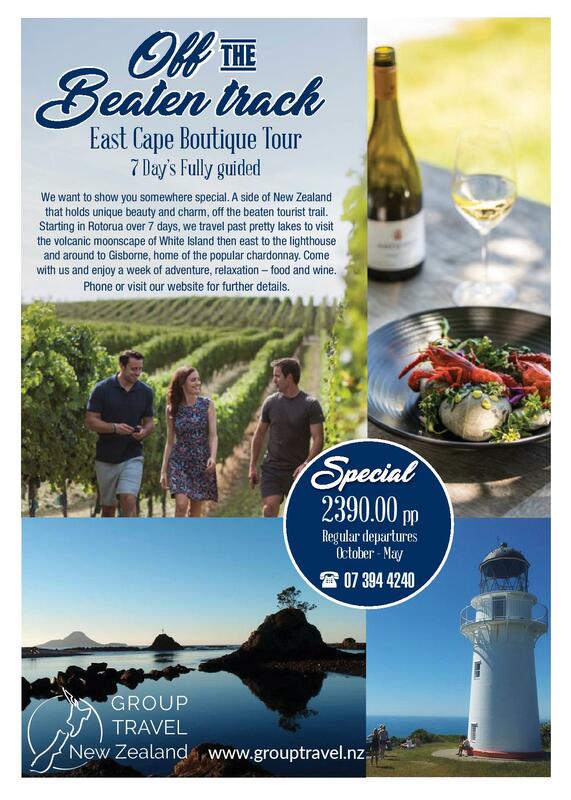 Previously we had designed business cards for the Group Travel team, and more recently they have added this gorgeous East Cape Boutique Tour to their portfolio. Of course this needed a beautiful brochure to help give potential customers a taste of what they will experience with Group Travel. And we think the result lives up to the gorgeous East Cape standard.